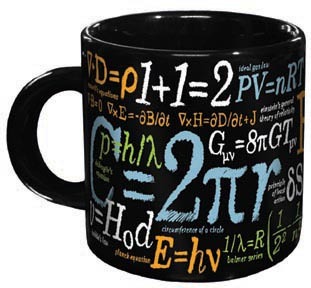 Let’s face it, this is my dream coffee cup … a cup containing 20 of the greatest achievements of human thought. Now each morning when I drag myself out of bed at 4:30, I will have a little inspiration to go along with the first cup, and the second, the third, and, of course, the fourth … you get the idea. For those of you looking to order your own, please click here.